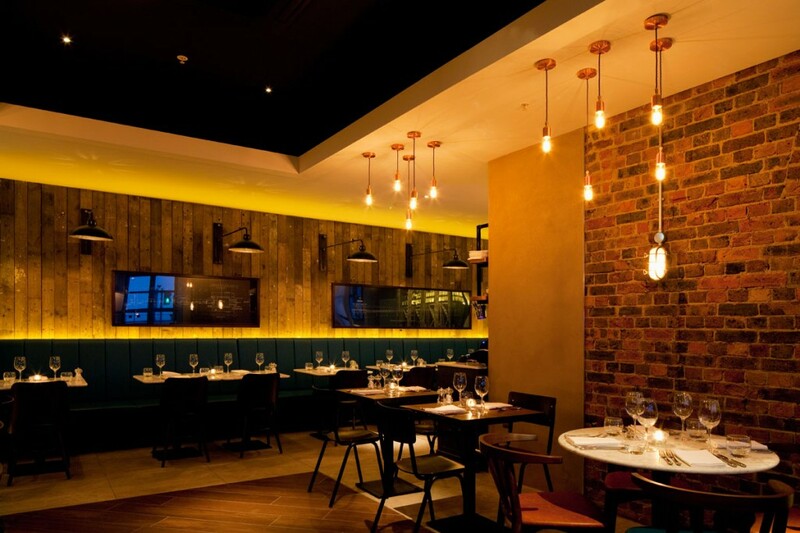 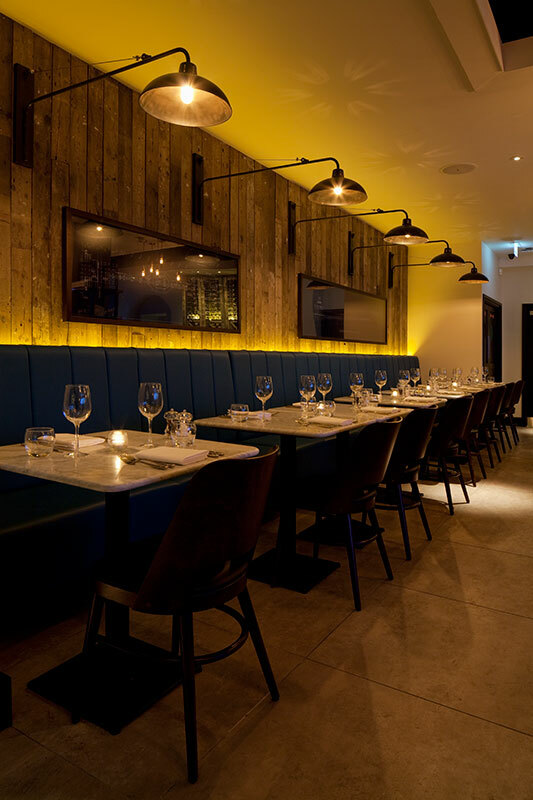 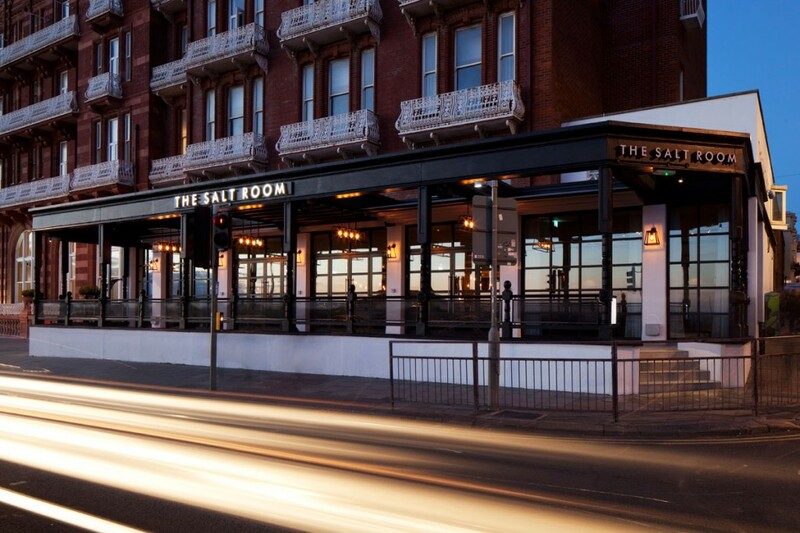 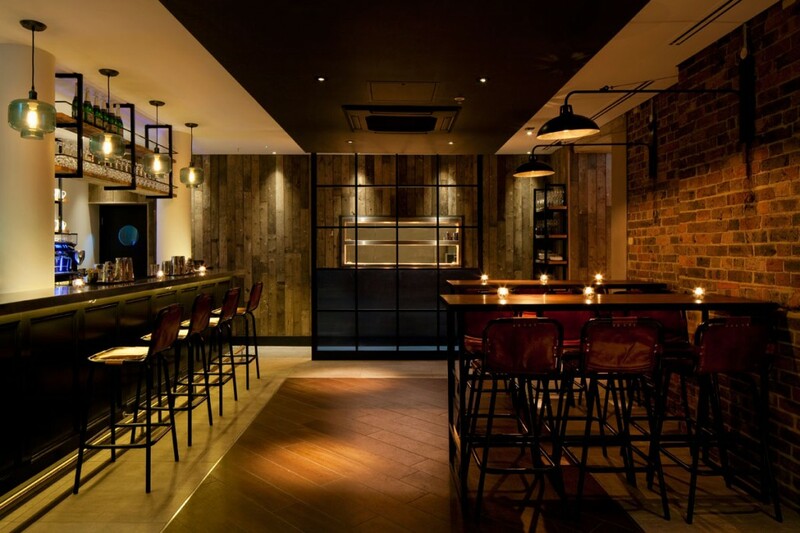 In partnership with interior designers designLSM into lighting designed and made multiple bespoke lighting features for The Salt Room restaurant in Brighton. 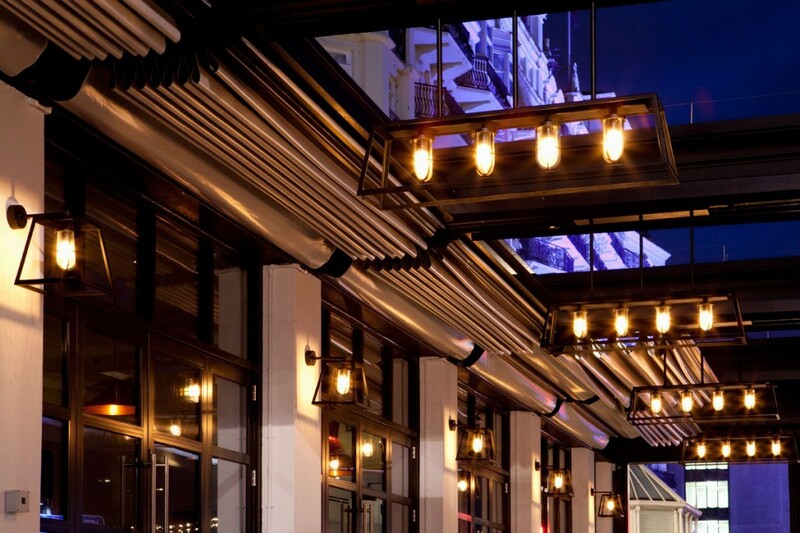 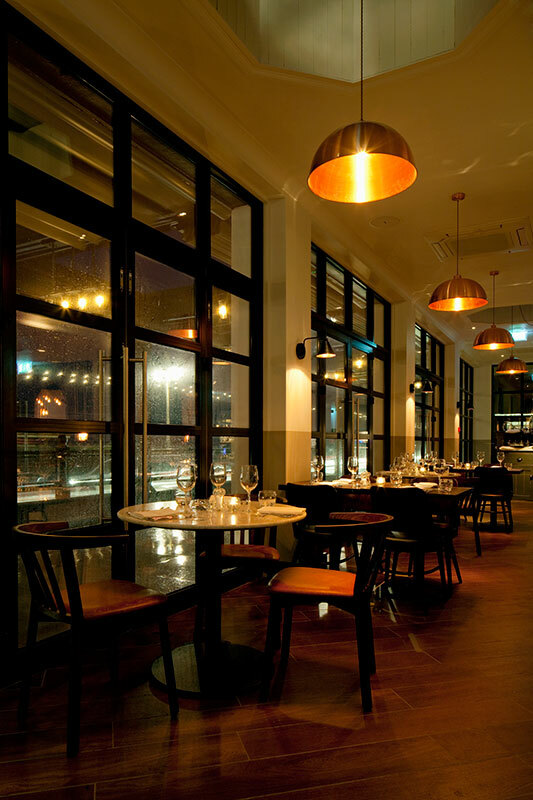 On the exterior terrace marine grade black powder-coated metal frames were designed to surround filament lamps in opal glass holders; These were designed in both a ceiling-mounted chandelier format and wall-mounted format. 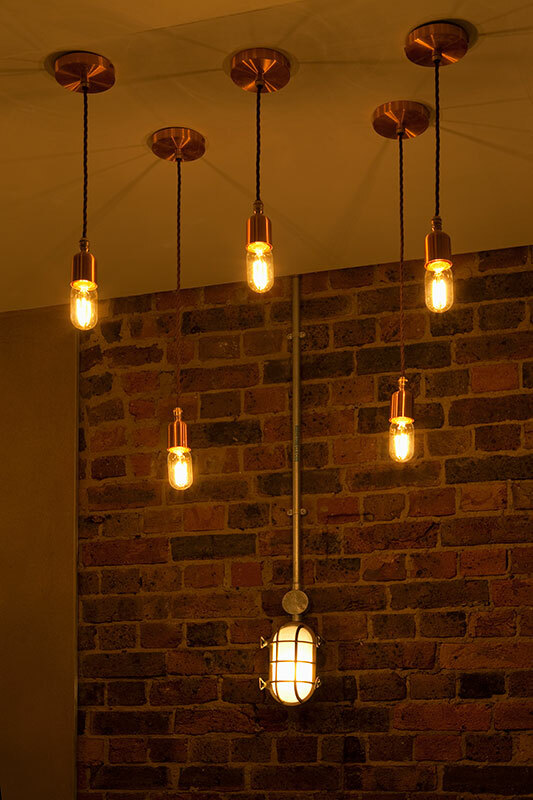 Polished copper pendant domes and polished copper lamp holders, both housing filament lamps, add a certain elegance to the stripped-back interior. 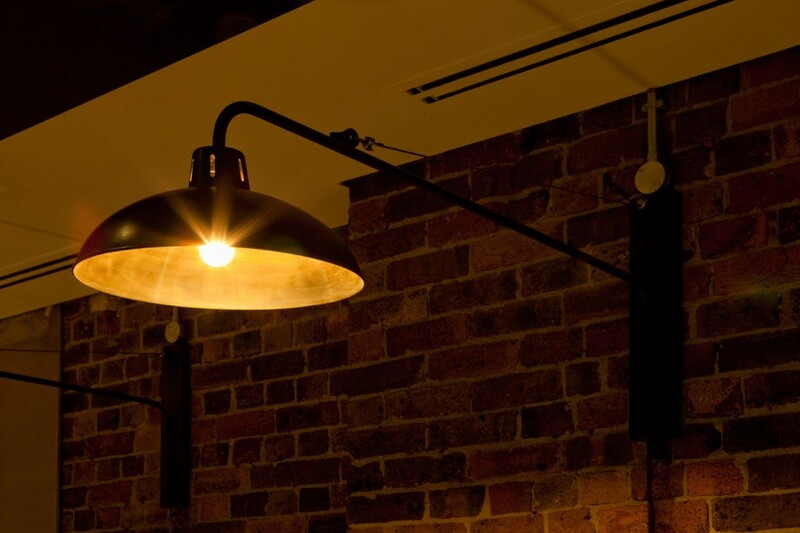 Finally blackened steel wall-mounted arm fittings are mounted to the brick walls throughout and shine onto table surfaces for an intimate feel to the space.